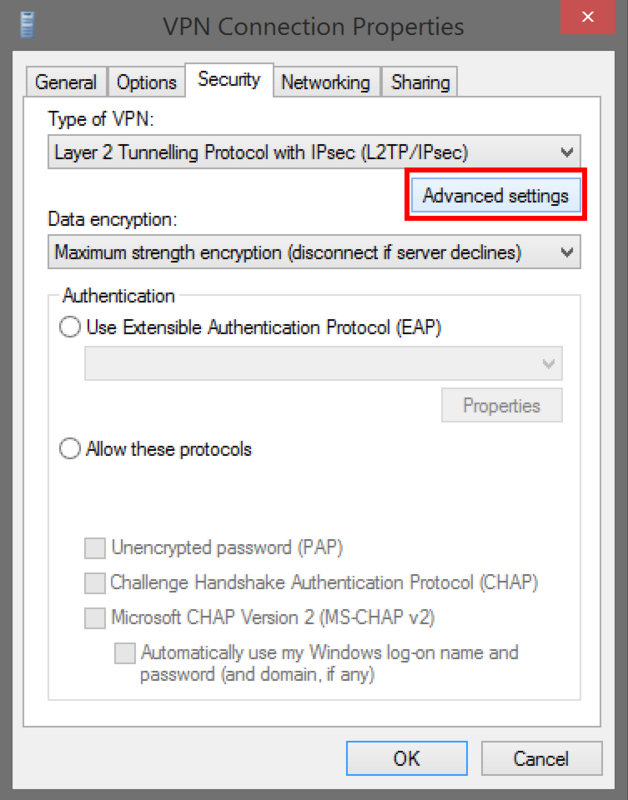 Setup L2TP VPN in Windows - Archivio Domande - VPN.ht. Start the Run command by pressing Windows+R on your keyboard. 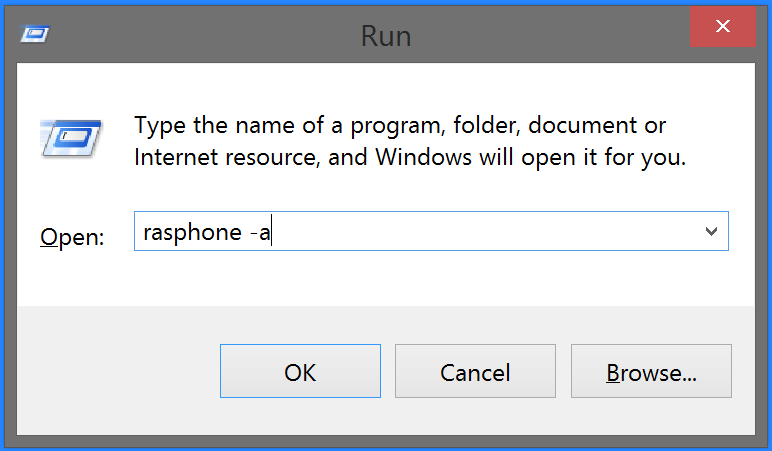 Enter 'rasphone -a' in the 'Open:' field. 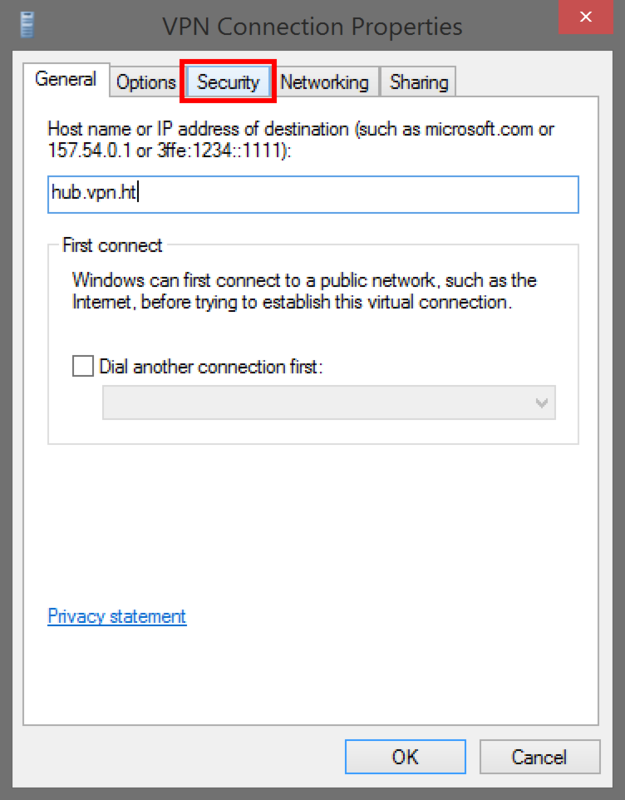 Enter the VPN.ht server address in the 'Internet Address:' field. Optional: Change the 'Destination Name:' to any value you like. This will be the name of the VPN connection. Open the 'Properties' panel of the connection you just created by clicking the 'Properties' button. Click the tab marked with 'Security' to navigate to the security settings. 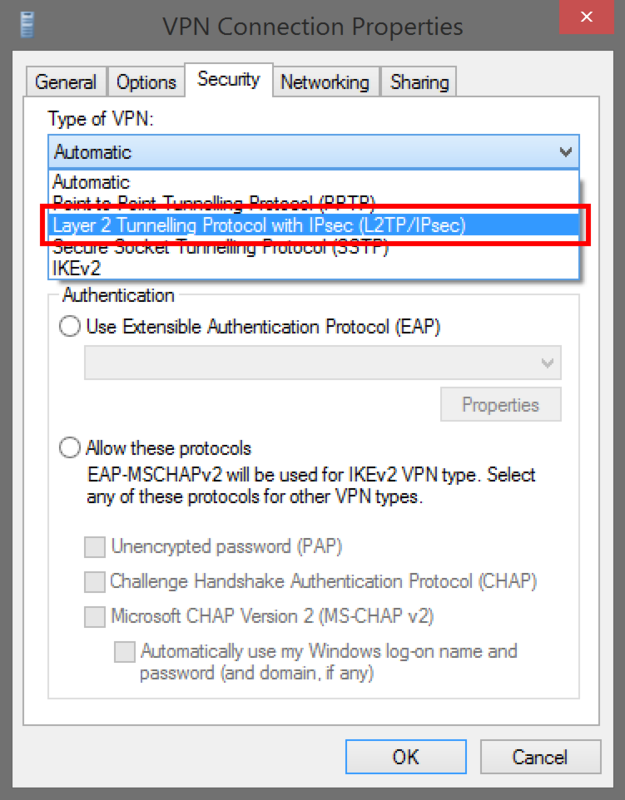 Select the option 'Layer 2 Tunnelling Protocol with IPsec (L2TP/IPsec)' in the dropdown menu with the label 'Type of VPN:'. Enter the pre-shared key in the 'Key:' field. 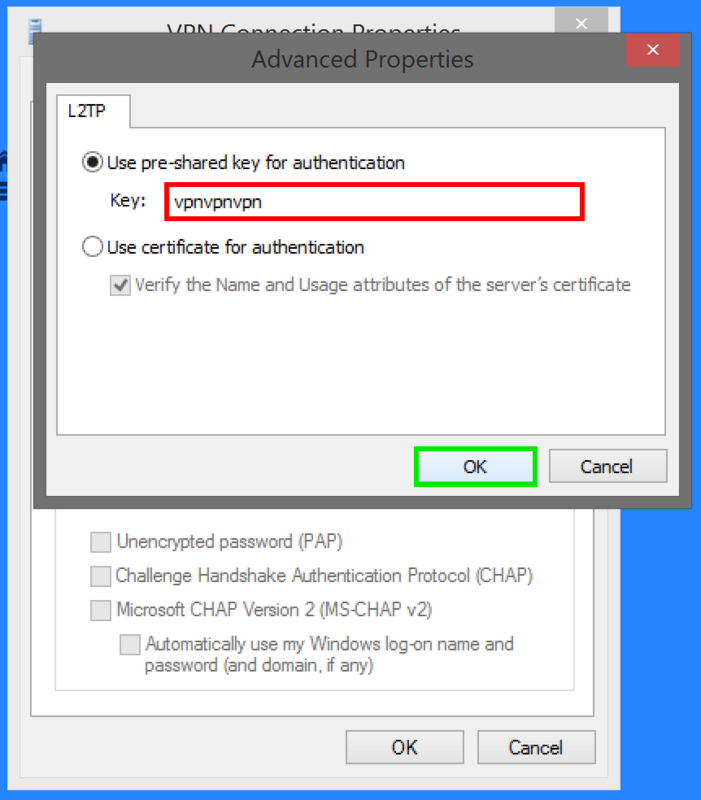 Our pre-shared key is: 'vpnvpnvpn'. Click the 'OK' button to continue. 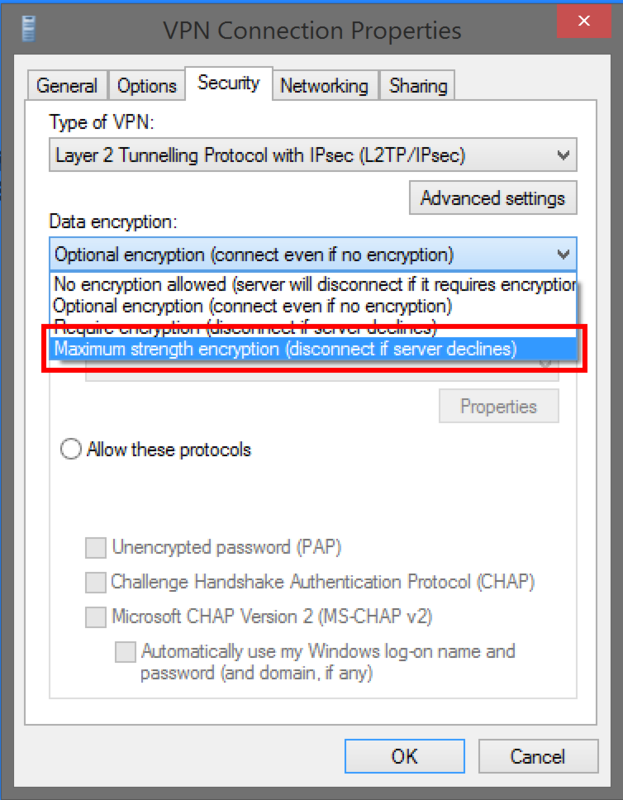 Change the value of the 'data encyption:' field to 'Maximum strength encryption (disconnect if server declines)'. 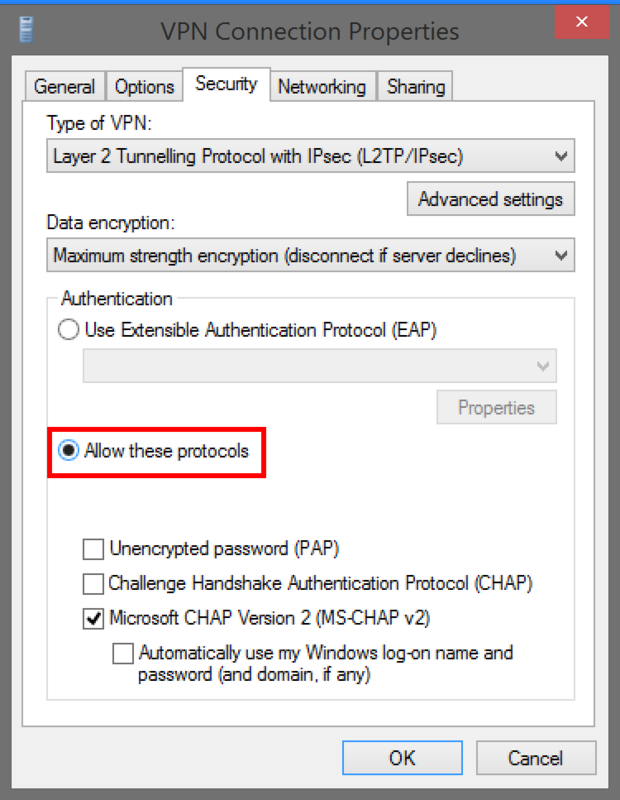 Select the 'Allow these protocols' option. 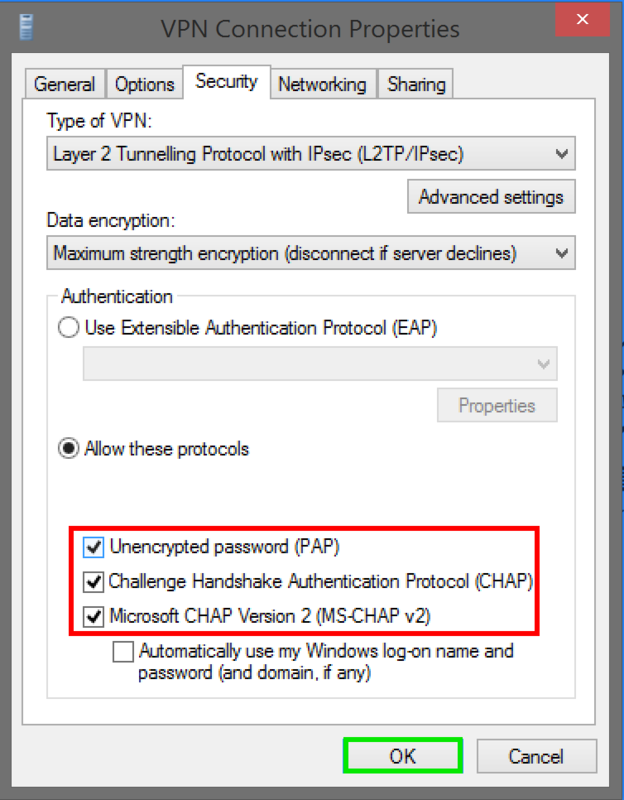 Check the 'Unencrypted password', 'Challenge Handshake Authentication Protocol' and 'Microsoft CHAP Version 2' fields. The correct configuration is shown in the screenshot below. 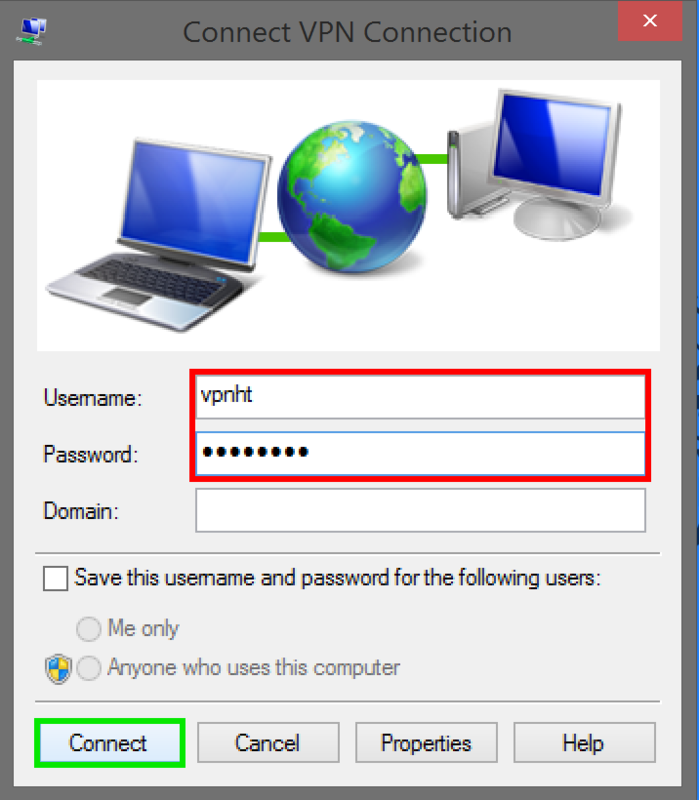 Press 'Connect' to make a connection with the VPN server. 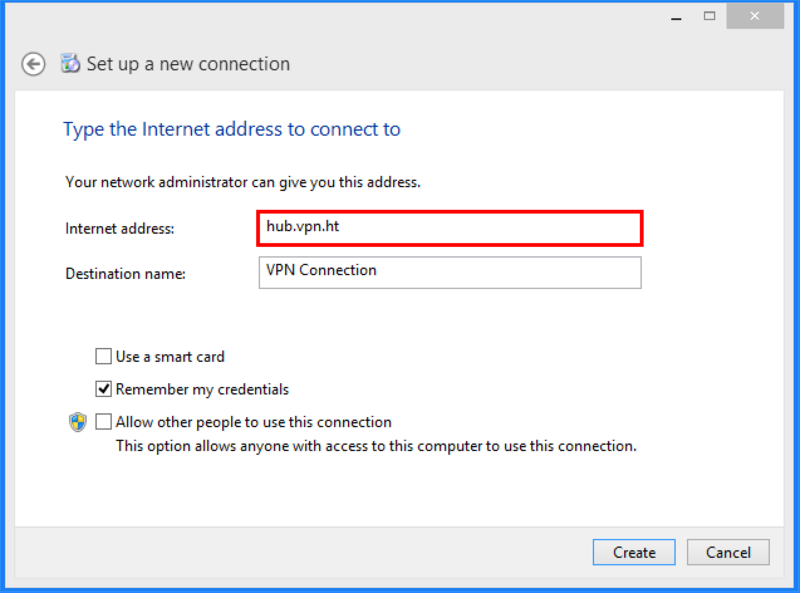 Your computer should now be connected to our VPN server. If you encounter any problems, you should check our troubleshooting documentation or contact our support. 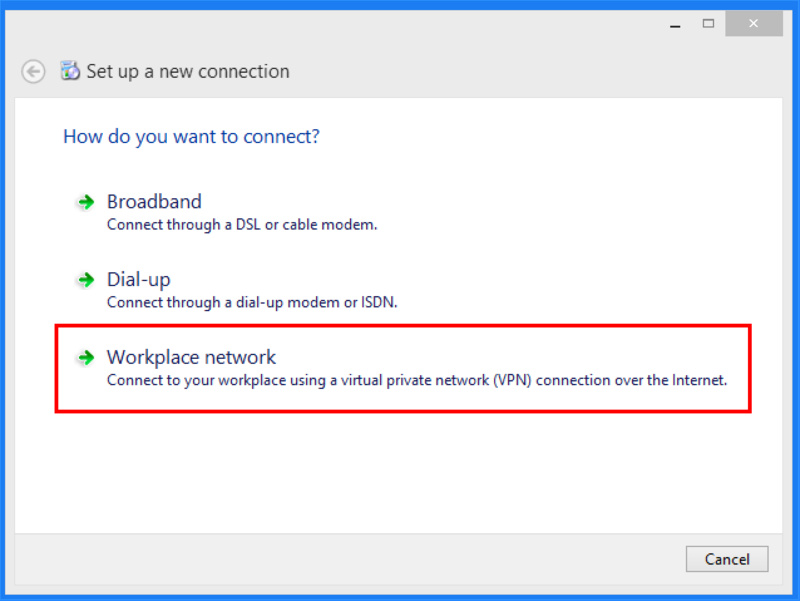 To manage your VPN connection, you should click the network icon in the task bar.